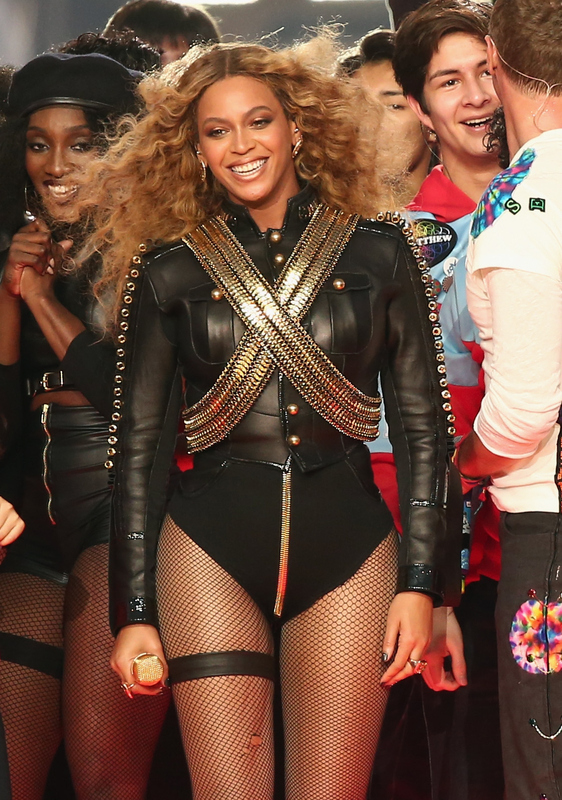 Super Bowl Sunday was a big night for more than just football fans: Beyoncé's "Formation" performance during the halftime show was everything the Beyhive could've asked for and more. (It was definitely the highlight of the evening... sorry, Coldplay and Bruno Mars!) The 34-year-old superstar premiered the new track and its accompanying music video unexpectedly on Saturday afternoon (as is her wont), and after her Super Bowl 50 set was complete, she had another big surprise up her sleeve: she's heading out on tour. That's right, Beyoncé's Formation World Tour begins on April 27 — just a little over two months from now. So, will the singer release more new music before hitting the road? When is Beyoncé's new album coming out? There was a little over four months between the release of Beyoncé's debut album, Dangerously In Love, on June 24, 2003 and the kickoff of the Dangerously In Love Tour on Nov. 3, 2003. Then, there was a little over seven months between the release of her sophomore album, B'Day, on Aug. 31, 2006 and the kickoff of The Beyoncé Experience on April 10, 2007. And finally, there was a little over four months between the release of her third album, I Am... Sasha Fierce, on Nov. 18, 2008 and the kickoff of the I Am... World Tour on March 26, 2009. But here's where things get a little tricky: Beyoncé's fourth album, Four, which was released on June 28, 2011, wasn't immediately followed by a tour. In fact, the diva didn't hit the road again until The Mrs. Carter Show World Tour began on April 15, 2013. Her fifth album, BEYONCÉ, arrived on Dec. 13, 2013, near the start of the tour's North American leg. After The Mrs. Carter Show concluded on March 27, 2014, Beyoncé joined Jay Z for the On The Run Tour (though its setlist only featured a few songs from her self-titled LP). So, what can we take away from all of this? At the beginning of her career, it was standard protocol for Beyoncé to release a new album and then head out on tour several months later. Recently, however, she's strayed from that path. Therefore, I can see this going one of two ways: either Beyoncé's sixth album is going to drop any day now (!!! ), or it's going to drop sometime in the spring before The Formation World Tour ends. After all, Beyoncé has plenty of hits in her discography — she doesn't need to perform new material on tour to please fans! I suppose we'll just have to wait and see what happens. Hopefully, Beyoncé will reveal the B6 release date soon.